The DRCN is constantly in the process of developing resources and training courses to equip chaplains, faith groups and caregivers to support disaster and loss-affected people. 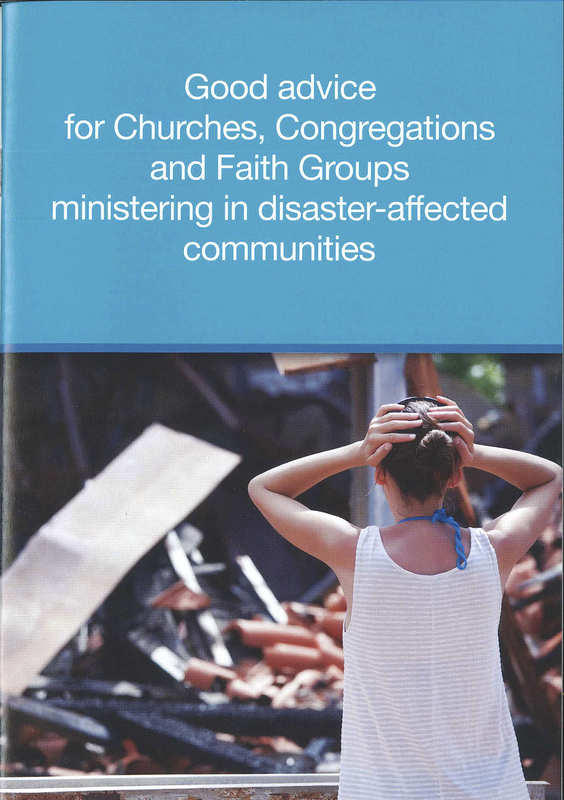 "Good advice for Churches, Congregations and Faith Groups ministering in disaster-affected communities"
A new resource has been developed to assist congregations to plan towards responding proactively in a disaster or emergency. This work was instigated by the Disaster Recovery Chaplaincy Network and published by the Uniting Church in Australia, Synod of NSW and ACT. The work was funded by a joint Commonwealth and NSW resilience funding grant. Churches and other faith groups are a valuable resource within a disaster-affected community, but are often disassociated from disaster welfare arrangements, and disconnected from the recovery processes. On occasions, churches or faith groups have attempted to empower volunteers and become active, only to find that these attempts have not ‘fitted in’ with what else is in play, resulting in friction and frustration. The resource “Good ideas for congregations” is designed for leadership of congregations (such as Church Councils). It allows these groups to gather for a two-hour meeting, work through a resource and formulate a practical disaster response plan for their people. A booklet, outlining how disaster welfare works in NSW, how to plan and respond locally, and important things to have in place ahead of a disaster or emergency. A video. This may be downloaded or sent on DVD as part of a kit. A checklist. This ensures for clear planning to be taken from the meeting of a congregation’s leadership.